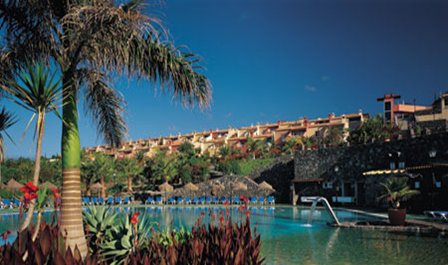 In Playa Santiago there are plenty of places to stay – here are some examples for you to consider. Remember, if you are organising a group of people to come here to dive and enjoy the sunshine, please call us for help. If you are an investor in HPB this is the place to stay! Here, HPB has created a sun-worshipper’s paradise - a very special holiday getaway. 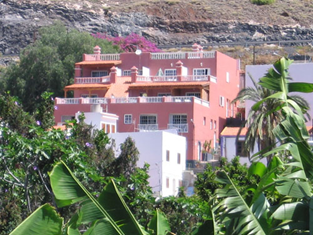 El Balcón features wide terraces of sea view apartments on two levels. On the ground floor, there are 47 two-bedroom apartments, two of which are adapted for accompanied disabled holidaymakers. On the first floor, there are 47 one-bedroom apartments, two of which also have facilities for accompanied disabled holidaymakers. In the grounds, there are six three-bedroom villas, which share the use of a solar-heated swimming pool, as well as two four-bedroom villas each with private solar-heated pools. These apartments are in the village, opposite the beach and the harbour. Each apartment has a kitchen and bathroom. An added facility is the roof top swimming pool. Restaurants and bars are very close. 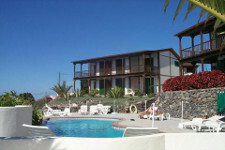 This 10 room Pension is above the village centre bar called Bodegon del Mar. Each room has a small balcony and bathroom. Call +34 922895135 for information.